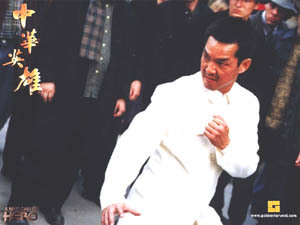 The purpose of this site is to promote the discussion and appreciation of the work of Yuen Biao, Hong Kong film maker, actor, stuntman and martial artist. Also, this site and the Yuen Biao Mailing List serve as the home-base for those of us who are attempting to establish the official Yuen Biao fan club. We are in the process of trying to contact him in the hope of receiving his endorsement of this project. We will be compiling a Filmography, History, Gallery and Links for the wonderful Yuen Biao. Click on the Picture for more info. This is a flash site so make sure you have the plugin! Maryan has some posters available. If interested, See the Posters!